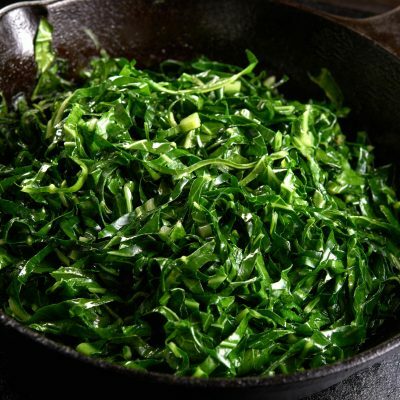 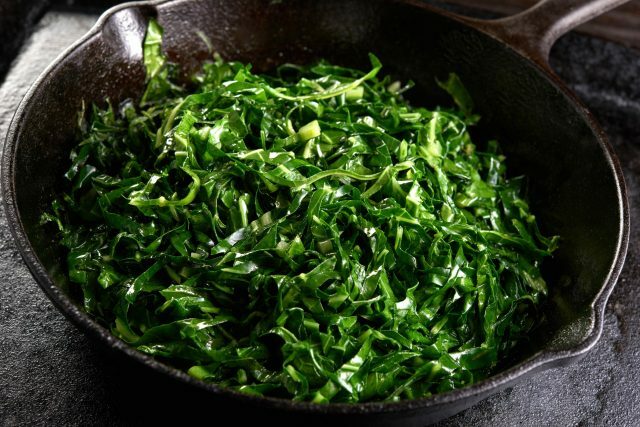 In the American South, greens are a favorite side dish all year, but especially prized as part of part of the New Year’s Day meal. 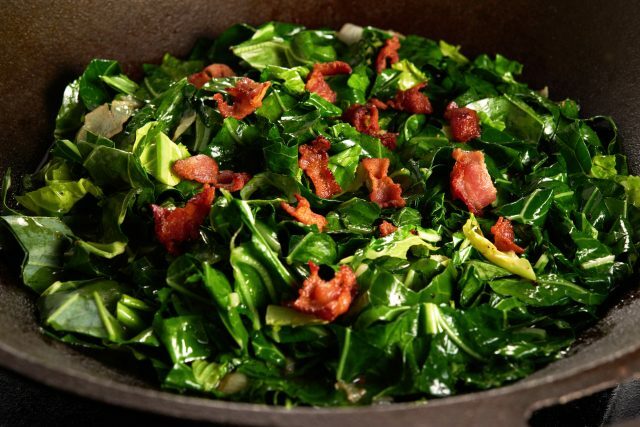 The symbolism is straightforward: greens — whether collard, turnip, mustard, or cabbage, represent paper dollars or “greenbacks.” Greens are typically flavored with ham hocks, salt pork, or sausage – both because those parts of the pig are a frugal way to add a deep and smoky flavor, but also because pigs root forward when foraging, symbolizing positive momentum for the new year. 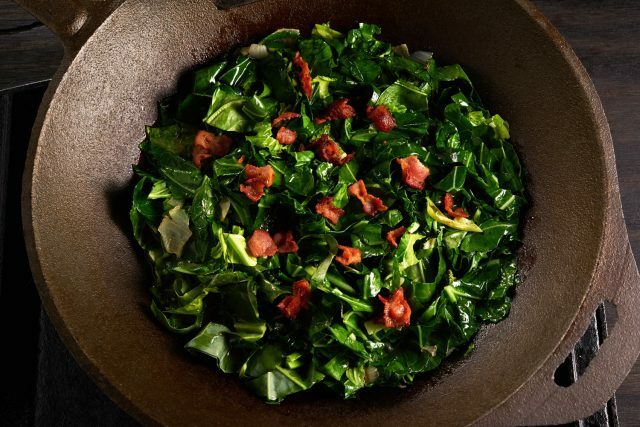 The slow and low cooking method brings out the rich and mouth-watering pork flavor and the tender texture of southern-style greens. 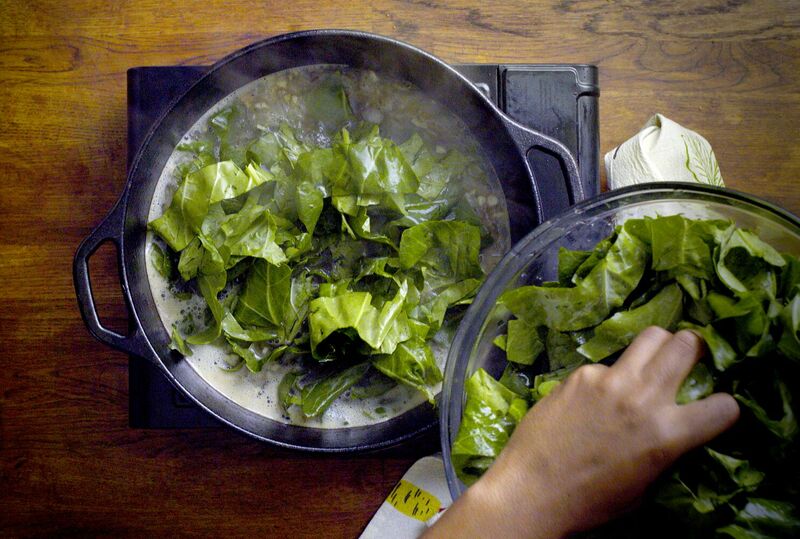 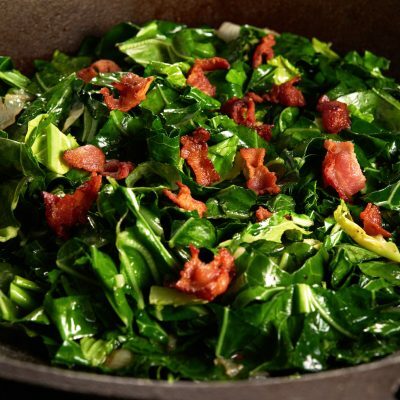 The southern style of cooking of greens originated with the arrival of African slaves to the colonies, and can be traced back to the resourceful cooks who discovered that slow cooking greens and seasoning them with various cuts of smoked pork resulted in a delicious and hearty dish that appears on family tables all over the south today.